In the past two years alone, Django lived in New York City, Portland (Oregon), San Diego and Philadelphia. He’s even eaten croissants in Paris and slurped up spaghetti in Italy. Django has hiked Joshua Tree National Park, taken selfies next to the Grand Canyon, seen the sunset in Santa Fe, and picked up girls in live music bars in Nashville. Most recently, Django has been the inspiration and main male model behind DJANGO which helps dogs and their humans get outside, travel and explore more often by creating custom gear for small and medium-sized adventure dogs. 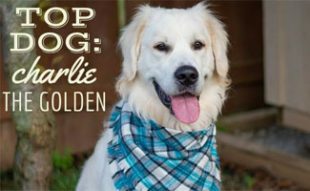 Read our exclusive interview to learn more about this globe-trotting pup in our latest Top Dog interview. Where’d you get the name Django? My parents had the name Django picked out for me before we even met! Steph (Mom) is a pianist and loves jazz and classical music. She heard the name Django after listening to Django Reinhardt, a famous Belgian-born jazz guitarist and composer. Mike (Dad) is a software engineer and familiar with a popular web development framework named Django. Steph was the first one to think of naming me Django, and Mike thought the name was perfect! Django represents Mom’s love for music and Dad’s passion for coding. 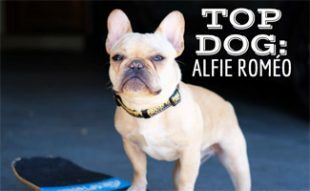 It’s also a fun and strong name – perfect for a small but adventurous dog with a huge personality! Tell us how you and your parents met? My parents got me when I was ten weeks old from a responsible breeder in New York. Steph was in business school at the time but decided I was much more important than class. So in early November, while Dad was at work, Steph rented a car and drove 4 hours north of New York City. She met me in the parking lot of a Taco Bell and fell in love with me immediately. We bonded over a few carnitas tacos then drove back to my new home in Brooklyn. I’ve been obsessed with tacos ever since. How’d you get into the fashion business? I’ve lived all over the country, but I was born and raised in NYC. Mom would take me everywhere: on the subway, in pet-friendly retail stores, to sidewalk cafes. She always carried me around in this hideous beach bag that she got for free from a work event. Mom looked for high quality, stylish and reasonably priced pet carriers but never found anything she loved. So she started designing a beautiful pet carrier out of our Brooklyn apartment. Mom didn’t know it at the time, but this was the start of DJANGO the brand. In mid-2016, we left New York City and moved to Portland, Oregon. Almost every evening after work, my parents and I would go hiking and swimming in the Columbia River Gorge. On the weekends we’d drive south to go camping in Willamette and Umpqua National Forests. My sausage dog legs are tiny, but I kept up with my parents on the trails and loved swimming in the cold mountain water. Inspired by our life in the Pacific Northwest, Steph launched DJANGO in late 2016. 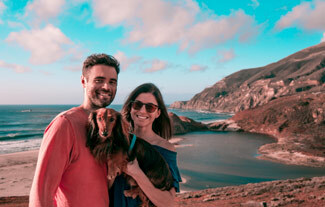 DJANGO’s mission is to help owners of small- and medium-sized dogs get outside and travel with their four-legged friends. We do that by designing high quality, weather-resistant dog gear and pet carriers. Has DJANGO been on any famous dogs? Yes! I try not to name drop, but quite a few dogfluencers have been spotted wearing DJANGO’s Reversible Puffer Coat and City Slicker Raincoat. My ultimate goal is for one of Selena Gomez’s adorable pups to wear some DJANGO gear. If that happens, my little weenie life will be complete. (Side note: I am in love with Selena Gomez). What’s it like being a dog model & boss man? I am currently Chief Executive Woof at DJANGO. I model all of our products for the website and help design new ones. It’s my job to make sure every new design meets mom’s ridiculously high standards for quality. That means the product must be comfortable (for both the dog and human), durable, stylish and weather-resistant. 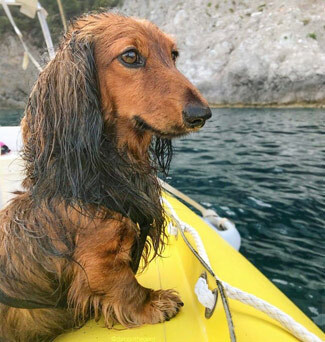 While I love being a male model, I’m pretty sure there’s a lot more to life than being a really, really, really, ridiculously good-looking sausage dog. And I plan on finding out what that is. (Side note: before my parents got me, my name was Derek. I know, I can’t believe it either… So yeah, I like to quote Derek Zoolander whenever I can). Of the placed you’ve lived, which is your favorite? I’ve been fortunate to live in some incredible places. New York City will always be my home. I’ll always feel comfortable walking down the busy city sidewalks and flirting with NYC babes as they walk by. The Pacific Northwest was definitely the most incredible place to adventure, and all of us (me, Steph, Mike) miss the mountains and trailheads every day. With that said, my heart is in San Diego. We lived near a gorgeous beach called Windansea. Every night as the sun was setting, me, Steph and Mike would sprint down to the ocean. I would scream (yes, scream) with excitement as Dad carried me down the steep wooden steps leading to the beach, then throw my little weenie body off a short rocky ledge onto the sand and run to the water’s edge. I’ve never been happier than I was on that beach at sunset. I also left my BFF Miles in San Diego. He was also a dachshund and lived a few houses away from us. We were inseparable and I miss him madly. Any tips for dog travel? Yes! In the past two years, I’ve been to France, Italy and all over the U.S. and Canada. I’ve completed six cross-country flights, two cross-Atlantic flights, and road-tripped across the country. Needless to say, I know a LOT about pet-friendly travel. My biggest pet travel tip is to always plan in advance. Not every airline and hotel is pet-friendly, and the ones that are, occasionally charge high pet fees. Seeking More Dog Travel Tips? 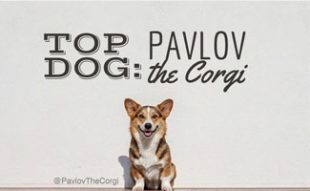 You can check out Django’s blog for additional tips or read some of our dog travel content for a wide variety of topics and guides. We also put together a helpful video with lots of canine travel tips you might find useful. What are your favorite past times? I am always down for a great outdoor adventure! I just moved to Philadelphia last year and I love exploring the trails and mountains throughout eastern Pennsylvania. I also love a good cuddle. I am a phenomenal little spoon. I don’t want to brag, but if there were a World Series for spooning, I would most certainly be a contender. I am also on an endless quest for “the one”. I spend a lot of time texting girls and sending messages to Selena Gomez on Instagram. Selena hasn’t responded to any of my DMs yet, but I remain optimistic. Dad would tell you I have a minor Law & Order SVU addiction. Detective Olivia Benson is my spirit human. 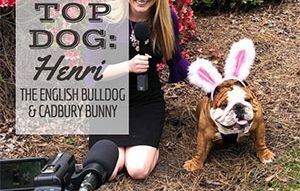 Who are your favorite dog celebrities? 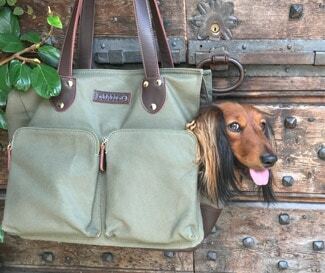 I adore @harlowandsage and Momo of @andrewknapp. Andrew and his border collie Momo travel around the country, often in a bright yellow VW bus, and take the most beautiful and creative photographs wherever they go. We are getting ready to launch DJANGO’s first pet carrier, a beautiful waxed canvas and leather pet carry bag for walking and commuting. This is the design Steph started working on in Brooklyn after she got tired of carrying me on the subway in a beach bag. The bag exterior is durable and weather-resistant, while the inside is lined with silky 230T nylon (stain-resistant and tear-proof). We’re so proud of the design, have received some incredible pre-launch feedback, and are pumped to launch it in early 2018. Sometimes I get a little humpy at night. Ha ha! Well, thanks for having the last, hilarious word, Django! Be sure to check out this audacious pup on Instagram @djangothegent so you can follow along with his adventures. Thanks Django for sharing your journey with us! 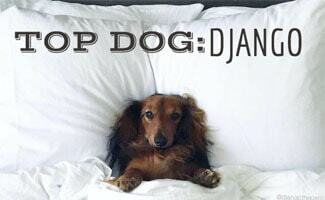 What questions do you have to ask this hilarious and accomplished dachshund? I understand that you appreciate fine music, enjoy listening to your mom playing the piano and Ballroom dancing. Please tell us, who is your favorite dance partner?